Taipei, Oct. 19 (CNA) The Ministry of Foreign Affairs (MOFA) spokesman Li Hsien-chang (李憲章) on Thursday denied a United Daily News report which implied that Nicaragua would soon cut diplomatic ties with Taiwan. The report stated that Nicaraguan President Daniel Ortega purposefully moved ahead by a day the scheduled Oct. 20 celebration of the opening of its new national baseball stadium, so that Taiwan's Vice Foreign Minister Jose Maria Liu (劉德立) would not be able to attend it. To refute the claim, the spokesman said that MOFA had not made any plans to send Liu to Nicaragua. 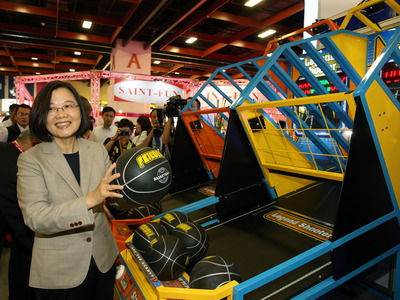 It said Liu was currently on an official visit to the Dominican Republic to strengthen its bilateral ties with Taiwan. Li said as Taiwan had played an important role in building the new 15,000-seat stadium in Nicaragua by sending specialists to the Central American ally to draft a blueprint for its construction in 2010, Ortega was extremely grateful for Taiwan's assistance. At the invitation of Ortega, Taiwan's national baseball team will attend the opening of the Denis Martinez National Baseball Stadium, Li said. The group of Taiwanese baseball players is visiting Nicaragua this week and is scheduled to play three exhibition games from Friday to Sunday in the new stadium, Li said. In addition, Taiwan's Ambassador to Nicaragua Wu Chin-mu (吳進木) will also attend the Oct. 19 opening ceremony, he explained. MOFA expressed deep regret over the groundless "report," Li said, adding that Taiwan had enjoyed a close and solid friendship with Nicaragua.